Ideal for watering large sections of lawn or garden, Cellfastâ oscillating sprinklers offer convenience and time saving. With three options in the award-winning range, there is a Cellfastâ oscillating sprinkler to suit the pocket of every customer. · is made from high quality plastics, with 20 nozzles, six of which are configured with a possibility of switching on and off. · offers smooth regulation of the water flow. · allows for coverage of up to 263 square metres. · features 18 nozzles and is constructed from high quality plastics and aluminium. · offers coverage of up to 240 square metres. · has a recommended retail selling price of R308. · is made from high quality plastics and comes with 15 nozzles. · allows for coverage up to 255 square metres. · has a recommended retail selling price of R161. 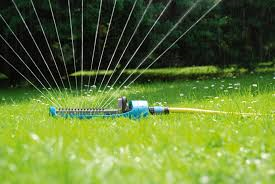 All of the Cellfastâ oscillating sprinklers can be set to water the area on either the left or right side of the sprinkler head, or both sides simultaneously, and come with a detachable spike to clean and unblock the water nozzles. The Cellfastâ range is distributed exclusively in Sub-Saharan Africa by WHD, a division of WHS. WHS is a member of the Dawn Limited Group and stocks a vast range of hardware and plumbing products, all at competitive prices, with frequent deliveries to anywhere in South Africa, as well as selected locations within Swaziland, Lesotho, Mozambique, Botswana and Namibia.